Luke Richardson (2.18gaa .931sv%) has been a big reason for Kitchener’s early success. Goalie is about the only position that Joseph Garreffa (4g 7a) hasn’t played. He spend most of last year on the wing, but has also played centre and defense in the past. He’s played all three at times this season. Hunter Jones has started every game for the Petes so far, and although Peterborough will have to turn to rookie Tye Austin sooner or later, they will rely heavily on Jones. After four points in his first three games, Liam Kirk has been held off the score sheet in four straight. Nate Schnarr has a point in every game this season, and has three goals and five points in his last two games. Isaac Ratcliffe is following up a 41 goal season nicely with six goals in his first six games. With 8 goals in 21 opportunities, the Storm have the best powerplay in the OHL at 38.1%. Remarkable how a team is four games above .500 with just A +1 goal differential. Ukko-Pekka Luukkonen has won all five of his starts this season, boasting a 1.78GAA and a .944sv%. Taken with the third overall pick in the latest CHL Import Draft. Luukkonen might want to be careful how good he plays or the CHL might ban European goalies again. The London Knights are 0/16 on the PP to start the season, Flint is the only other team without a powerplay goal. On the flip side, the Knights have only allowed a single power play goal in 16 opportunities. After stumbling out of the gate, the 67’s are making the most of their current five-game home stand. Tye Felhaber (8g 6a) and Austen Keating (3g 11a) have been leading the way offensively, while Marco Rossi (4g 3a) is tied for the rookie scoring lead. Kirill Maksimov (8g 5a) and Akil Thomas (3g 10a) have both enjoyed fantastic starts to the season and will be relied on to continue to pace the team’s offense. Stephen Dhillon has been a little inconsistent to start the year, but I imagine he’ll settle in as we go forward. Cole Perfetti (4g 3a) is tied for the most points among OHL rookies during the first few weeks of the season. He’s given the Spirit a solid secondary scoring option behind Cole Coskey (4g 6a), Albert Michnac (4g 6a) and Nicholas Porco (7g 1a). After playing 6 of their first 8 games on the road, the Greyhounds will play their next 6 games at home. Barrett Hayton will make his season debut this week after a lengthy stay with the Arizona Coyotes. Morgan Frost continues to torch the league, with three goals and seven points in his last four games. Here’s an odd early season stat: Mississauga has scored 6 power play goals at home, but zero on the road. Captain Cole Carter has goals in five straight games, and leads the team with nine points. Dman Thomas Hartley is enjoying a nice start to his sophomore season, with a goal and seven points in six games. He had just a goal and 15 points in 62 games as a rookie last season. 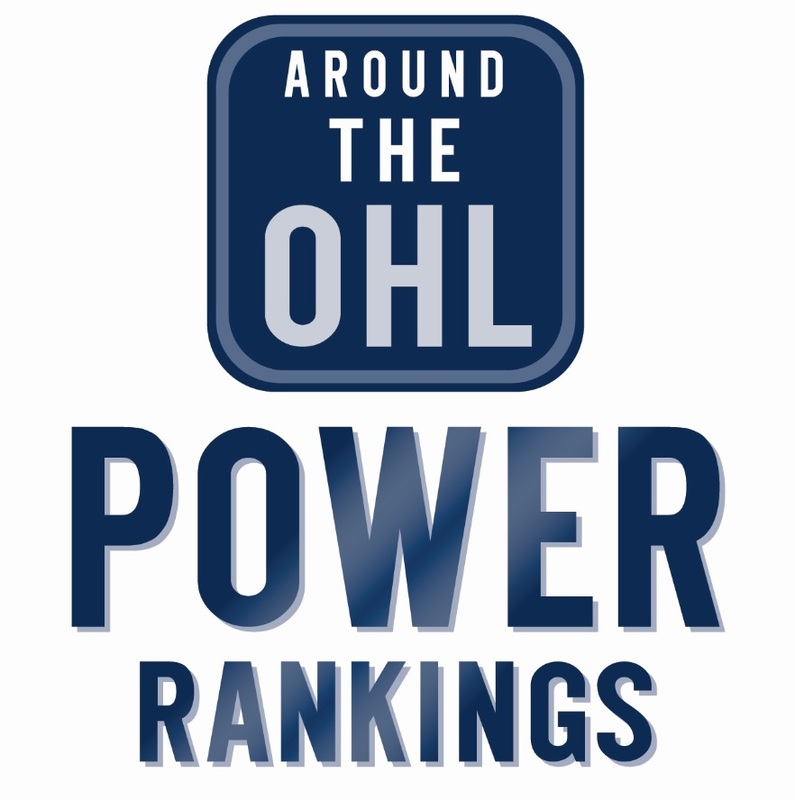 Tags: AOHL Power Rankings, Guelph Storm, Kitchener Rangers, London Knights, Mississauga Steelheads, Niagara IceDogs, OHL, OHL Hockey, Ottawa 67's, Peterborough Petes, Saginaw Spirit, Sault Ste. Marie Greyhounds, Sudbury Wolves. Bookmark the permalink.